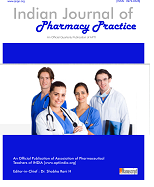 Association of Pharmaceutical Teachers of India established in 1966, by the pioneers in pharmacy like Prof. M.L. Schroff, Prof. G.P. Srivastava and such others to deal with the issue related to pharmacy education in India, has grown today by leaps and bounds. The primary objective of the association is to promote better intercommunication and excellence in pharmacy education among pharmacy teachers, educators and those who are genuinely concerned with the promotion of pharmacy education and practice of pharmacy in India. Currently, the association boasts of more than 6700 life members representing every nook and corner of the country and is constantly growing in numbers. A congregation of all the life members is held annually, research and community health programmes. In the year 2010, Academic staff College under the aegis of APTI has been instituted. The first training program for pharmacy teachers was held at KLE’s University, Belgaum and the second was held at Manipal University, Manipal. It is proposed to conduct such training program in other parts of the country. The association in its efforts to encourage the promotion of excellence and practice of pharmacy research and recognize outstanding contribution among its life members serving in various position of who have generously contributed to the cause of profession. These awards are given away to the awardees during the APTI Annual National/International Convention and Indian Pharmaceutical Congress held every year.